This Troodon has a bead blast finished double-edge dagger blade with plain edges. 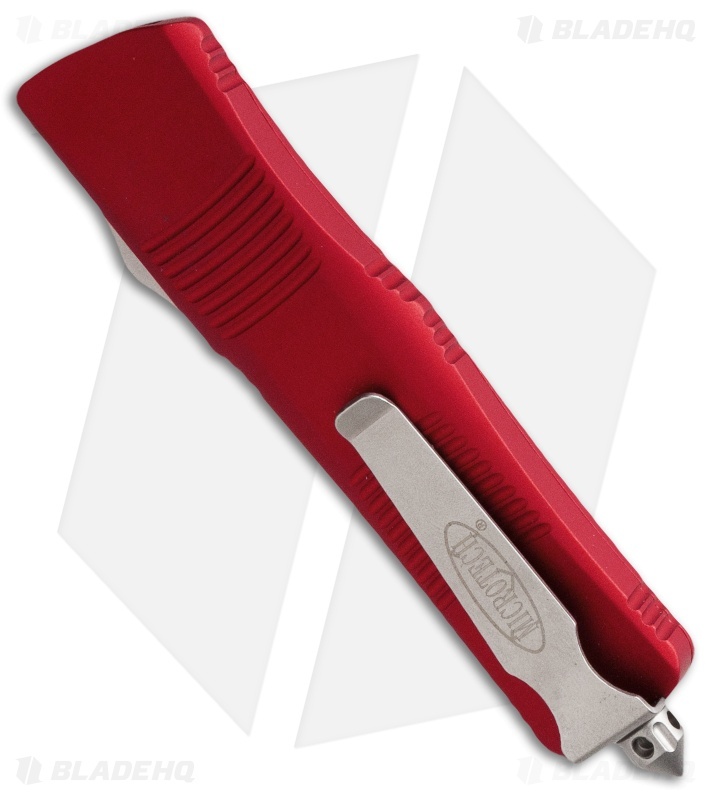 The handle is red anodized aluminum with grooves for added grip-ability. The knife includes a pocket clip and glass breaker. 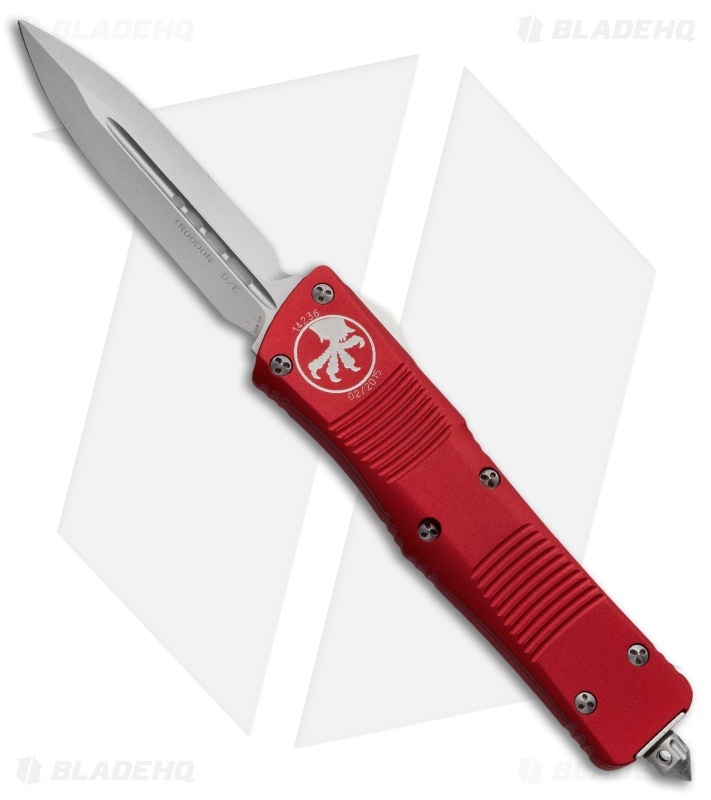 Microtech's regular sized Troodon knife is named after the Troodon dinosaur, this knife was Microtech's 2006 flagship out-the-front knife.